Many people in Newfoundland and Labrador believe they have a good understanding of the Beothuk. Yet there is still a great deal of misinformation about them. In this post, I’ll try to shed some light on some of these misconceptions and give you a few facts about the Beothuk. I have heard statements that 1) the Beothuk were the earliest aboriginal group on the island. Related to this misconception, 2) that they were the only aboriginal group to have inhabited the island. If you have followed this blog at all, you know that there were several groups of precontact aboriginal people here long before the Beothuk. The first were the Maritime Archaic Indians (MAI) around 5500 years ago. The MAI were on the island up to about 3200 years ago. Right now, it does not appear as though the MAI were related to the Beothuk. Yellow dots are all of the known precontact archaeology sites on the island. The Beothuk sites are red dots. There were two groups of Palaeoeskimo here. The first group, known to archaeologists as Groswater Palaeoeskimo were here around 2800 to around 1900 years ago. Then there were the Dorset Palaeoeskimo who were on the island from around 2000 to 800 years ago. We know these groups are not related to the Beothuk though they shared the island with the ancestors of the Beothuk for a few hundred years. However, the Groswater and Dorset were related to each other – both were Palaeoeskimo. The Intermediate Indians are probably the least understood of all the precontact groups in the province. Archaeologically they are best known from the approximately 200 archaeology sites in Labrador with Intermediate Indian components. In the last 10 to 12 years artifacts have been recognized on the island as likely being from Intermediate Indian occupations. It is highly unlikely they related to the Beothuk. The most recent of the precontact groups on the island, the Recent Indians, were made up of three cultures archaeologists have termed the Cow Head complex (~2000-1000 years ago), the Beaches complex (~2000-1000 years ago) and the Little Passage complex (1000 years ago to European contact). It can be shown archaeologically that the culture of the Beaches complex became the Little Passage complex, which became known as the Beothuk in the historic period. Most archaeologists do not think the people of the Cow Head complex were part of this relationship. Perhaps one of the best places to see this Recent Indian – Beothuk relationship is at the Beothuk Interpretation Centre in Boyd’s Cove. This is a great interpretation centre where you’ll learn about the Beothuk and their relationship to their earlier Recent Indian ancestors. During the historic period there were also Mi’kmaq on Newfoundland’s southwest coast and, occasionally, Inuit people on the Northern Peninsula. So, by no means were the Beothuk the first or the only aboriginal people on the island. 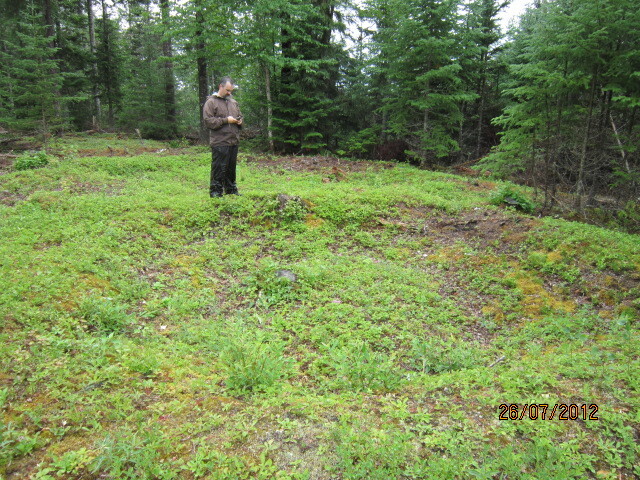 The Recent Indian-Beothuk site at Boyd’s Cove. 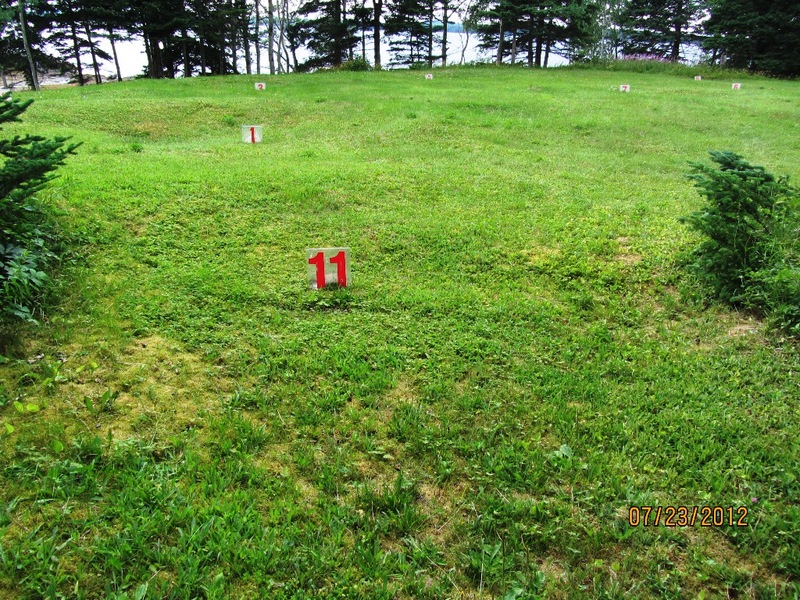 Each red numbered plastic marker sits in a Beothuk housepit. Many people have seen this image and believe it depicts Shanawdithit. In reality this image shows Demasduit (Mary March), Shanawdithit’s aunt. The image was painted in 1819 by Lady Hamilton, the wife of Newfoundland’s Governor. One thing that many people agree on is that the Beothuk are gone. People usually cite various reasons for this extinction but most popular reason given is that Europeans & or Mi’kmaq killed them. While both groups played a role in the end of the Beothuk, their demise can not be explained by simply stating they were “hunted” to extinction. The demise of the Beothuk was a process that took place over a long period of time as a result of several factors. The evidence for the Mi’kmaq hunting the Beothuk is actually weak to nonexistent and whether they played a direct role in the extinguishing of the Beothuk is debatable. One archaeologist-anthropologist has suggested there may be some truth to this idea while another archaeologist-anthropologist has argued there is no truth to the idea (See footnote 54). The island of Newfoundland is not a resource rich place when it comes to food resources. In terms of major game food, we have caribou and sea mammals; neither is particularly dependable. If you were Beothuk and you missed either migration due to weather or any other reason you were going to be hungry. When Europeans came to the island, we set up establishments on the coast, which cut the Beothuk off from half of their food source along large tracts of coastal land. When the Mikmaq came to the island in the historic period they cut off large parts of the west and south coast from Beothuk access. European furriers would go inland in the Fall & Winter hunting fur bearing animals putting further land use pressure on the Beothuk. Altogether, this meant less hunting area for the Beothuk, less area from which to gather food. The presence of fur traders and missionaries on the mainland of North America meant most aboriginal groups in that area fared better than the Beothuk. It’s sad to say but because the Beothuk did not participate in a fur trade on the island they served no purpose to Europeans unlike the aboriginal groups on the mainland who participated in a fur trade. On the island the fur trade was carried out by European furriers who would go inland to hunt in the Fall and Winter. In addition, the lack of missionaries on the island meant the Beothuk did not have that group of people arguing for their survival, unlike the aboriginal groups on the mainland of North America. The population of the Beothuk at the time of contact with Europeans was likely in the 500-1000 people range. This is based on a few facts. The posited population numbers are also based on how few known Beothuk sites there are. 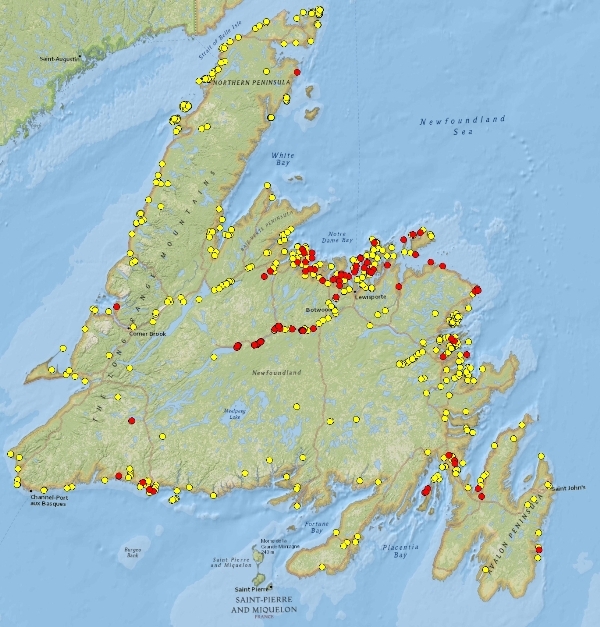 There are only 61 known Little Passage complex sites (direct Beothuk ancestors) on the island. There are just over 100 known Beothuk sites on the island (nearly 30 of which denote Beothuk burial sites). Therefore, we are looking at around 70 possible Beothuk habitation sites. These sites span the period from European contact ~ 1500 ad to 1829 ad – just over 300 years. These are small numbers signifying a small population. European epidemic disease has also been suggested as contributing to the demise of the Beothuk. While there is no doubt that diseases played a role in the death of some Beothuk, for example Shanawadithit died of tuberculosis in 1829, diseases alone were not responsible for wiping out the Beothuk. Epidemic diseases tend to work best on large populations, if they don’t have large host populations epidemic disease outbreaks tend to peter out quickly. It is well known that the Beothuk tended to avoid contact with outsiders. This means their chance of contracting something foreign was slim. If we accept that the Beothuk population was small, scattered and for most of the year isolated we can see that the chances of European epidemic diseases playing a major role in killing large numbers of Beothuk was probably very slim. The author standing on the edge of a Beothuk housepit. Therefore, the combination of losing access to coastal food resources, the lack of a fur trade and the absence of missionaries meant that the small population of Beothuk on the island could be easily wiped out with a little pressure. Add to that the number Beothuk who were killed by Europeans and diseases and you have a better understanding of how the Beothuk people became extinct. In reality, it is a more complex process than what is described here. If you want to learn more about this process, you can read these articles. Both links open PDFs. Collapse of the Beothuk World or Archaeology, History, and the Beothuks. Many people have argued that they are descendants of the Beothuk. Are they really extinct? There is a possibility they are not totally gone. 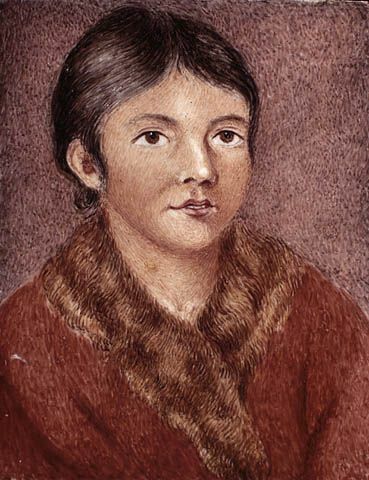 Although there are no known living Beothuk descendants, Shanawadithit, the last known Beothuk who died in 1829, told John Peyton in the 1820s that Beothuk traditions were descended from those of the Indians from Labrador. She also told Peyton that her people were friendly with an Indian group whom they called the Shaunamunc and that the two groups traded and mutually visited each other. The Shaunamunc are thought to be the Montagnais – Naskapi, or the modern day Innu of Quebec and Labrador. Further, there is also a Mi’kmaq oral tradition which suggests that the last of the Beothuk went back to Labrador (Howley 1915:257). The Beothuk were thieves and stealing is and act often attributed to tha Beothuk actions. The Beothuk culture was based on sharing resources, as were most Algonquian based cultures in Northeastern North America. Our understanding is that no one really had possessions, rather if you had something you shared it; if you weren’t using something it could be used by someone else within the group. When they found abandoned European buildings, boats, sails or other goods they believed they could just take them and use them. Europeans mistook this as stealing. To paraphrase Dr. Ralph Pastore in Shanawdithit’s people: The archaeology of the Beothuks: the extinction of the Beothuk is a tragedy and we owe it to the Beothuk to better understand their culture and not accept the old stories about hunting them to extinction as fact but rather understanding who they really were and what really happened to them. The Newfoundland and Labrador Heritage website has an excellent section dealing with the Beothuk. You could also visit Boyd’s Cove, Mary March Museum, Indian Point, Red Indian Lake outside of Millertown or Beaches, Bonavista Bay. Do you mean “southwest” ? Yes, thank-you. I will fix that now. Thanks for this interesting article. Some of the plates in the Historical Atlas of Canada I lead me to speculate that there could be much more … Plate 1, which shows Labrador covered with ice except for a very small areas along the coast and in the south as well and all of Newfoundland covered with tundra between 18,000BC-10,000BC; Plate 6 (8000 BC-4000BC) also leads the scholar to consider the possible movements of people all the way from the current NY area northeast around the coasts of Newfoundland and Labrador …a careful look at Plate 14 which shows prehistoric trade cannot help bu tlead to a lot of speculation about the enormous possibilities for discoveries in the future. As you previously stated, most of the sites described in your Archaeological Void No More were only discovered within the last year – seems as if there is still a lot to find and many unanswered questions remain. New sites are being found all the time, with each new site comes more questions. Fascinating article. Thanks for posting! I don’t suppose you could source that map? There are several yellow dots in uper Placentia Bay and I would love to be able to find out more on those particular sites. I am the source for the map. The sites in the upper portion of the Placentia Bay are mostly on Merasheen and Long Islands. They were found by an archaeologist named Urve Linnamae in the late 1960s. Most are precontact aboriginal sites, one or two have European components. Yeah, Urve Linnamae was doing archaeology here in the late 1960s early 70s. She worked on some pretty significant sites including Cape Ray Light Site & Pittman, both large Palaeoeskimo sites. Do you know Elmer Harp’s work published in the ’50s? There Is an Island WNW of Long Island in Placentia Bay that up on the high lands of this island there is a marsh/meadow that is surrounded by rocks forming a circle could this be possibly a Beothuk site? Is it something that has been seen before at other knowen Beothuk sites? Without actually seeing/testing the ring I can’t say for sure what culture made it or even if it is cultural. There are reports of Beothuk being in the area and there is evidence of their precontact ancestors in the area. There is also evidence of Archaic Indian, Palaeoeskimo and European use of the area, so, if it is cultural, it could have been anyone. There are sites on Long & Merasheen Islands but from what I can see no known sites on the islands WNW of Long Island. Do you have photos of the ring? I have read that my Irish ancestors (the Irish men) got jobs on ships going to Newfoundland, and then just stayed. The British didn’t want the Irish to settle in Newfoundland. Where did the women come from? I have always speculated that the men perhaps intermarried with Newfoundland’s First Nations. Is this possible? I apologize for how long it took me to get back to you, I had to consult with a colleague to make sure I answered your question right. Most of this response is from him. There are also a few good sources for early Irish immigration including Eighteenth Century Newfoundland: a Geographer’s Perspective by C. Grant Head. The best source for Irish/Newfoundland connections is John Mannion’s, check out “Tracing the Irish : a geographical guide”. From what I know, Irish fishermen were part of the 17th & 18th century English and French fisheries. The French and Irish were close. Perhaps because of the Roman Catholic connection, and maybe also their mutual dislike or distrust of the English. Most Irish immigrants, including women arrived in the 18th century, in particular into Placentia after 1713. Irish mercantile interests also developed in the 18th century, in St. John’s and Placentia mostly. Regarding Irish men intermarrying with Native women, I have not heard of that on any large scale, although I must admit, I have not read a lot about it. I do know, that after the French were expelled in 1713/14, the Mi’kmaq did not really return to the island until the 2nd quarter of the 19th century, at the earliest. They settled mostly on the south coast and later into central Newfoundland where there was not a lot of other folks until the railway went through in the 1890s. In Labrador, the Metis population was apparently largely formed by English fishermen, from both Newfoundland and direct from England, marrying Inuit women in south-central Labrador. No doubt there was some intermixing of cultures, but to say “the Irish intermarried with the Natives”. It’s not that simple. I’m sure it happened, but not on a regular, or continual basis. However, as is pretty obvious, these “official” bans did not stop settlement. Most immigration was on a small scale during the 18th century and particularly in the early 19th century for sure, it really exploded, from both Ireland and England. Of course, by the second quarter of the 19th century, there were hardly any Natives on the island of Newfoundland, other than the newly arrived Mi-kmaq, and their #s were tiny. Thank you so much for responding. I will follow your links and do some more reading and research. Your reply is informative and I appreciate the links. It is certainly all so interesting. I’d like to see everybody’s DNA. What does this mean? You want to be educated? Or, people in general, need to be educated? Thanks for the reply. The spear point or what I think is a spear point was found on a beach somewhere in BC. Hi, In that case you need to contact a Provincial Archaeology Office in BC.